If you are a citizen or permanent resident of Canada and at least 18 years old, you can sponsor certain relatives to come to Canada. The Canadian government offers a number of ways to allow this dream to become a reality under its Family Class Sponsorship. 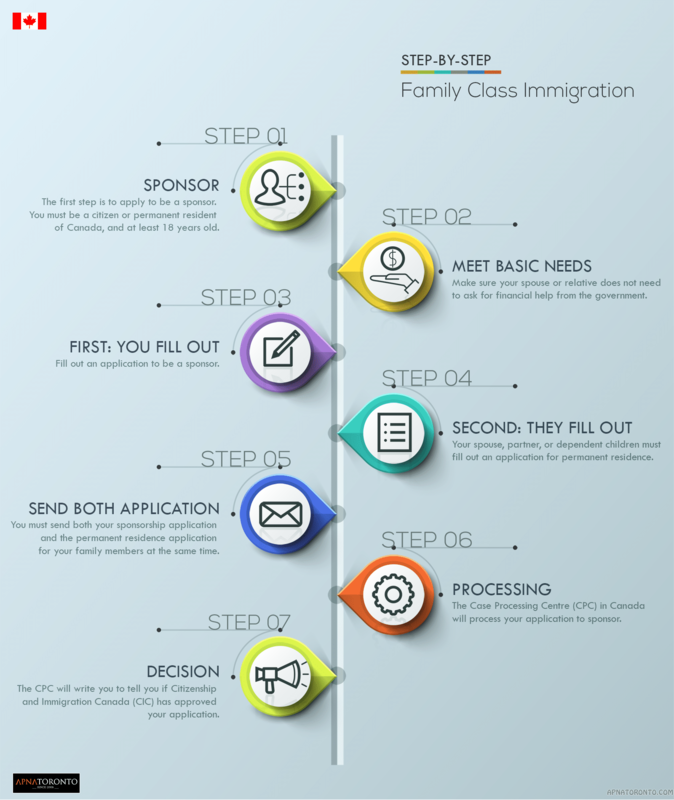 This infographic below will solve your problem by giving the simplest answer for the question: How Canadian Family Class Immigration works.